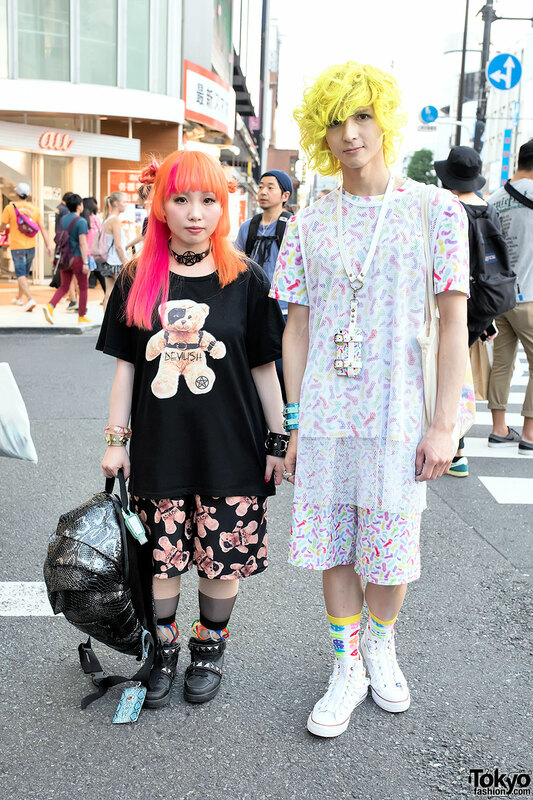 Harajuku guy with pink hair and piercings wearing fashion from W.I.A, MYOB, YRU, Avantgarde, and OS Accessories. 18-year-old Harajuku guy with blue hair, a graphic bomber jacket over sheer kanji print, and tall Buffalo platform boots. Harajuku girl in Devilish t-shirt, white tights & Dr. Martens vs. girl in graphic tee, ripped fishnets, and a winged Peace Now backpack. 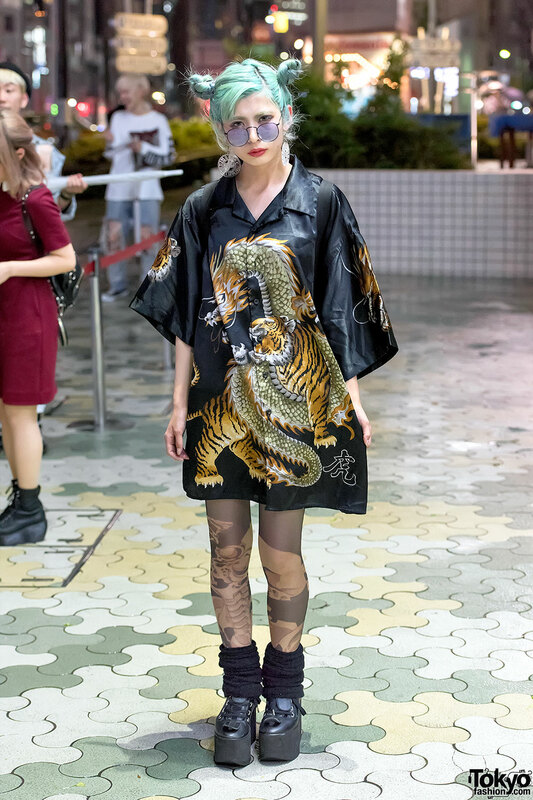 Avantgarde Harajuku staffer with pink-blue dip dye hair, a sheer kimono top, graphic pants, and platform sandals with tabi socks. Momo from Avantgarde Harajuku with pink hair, trapper hat, Bubbles coat, tote bag, and colorful sneakers.